Touchfight Games’ strange nightmare fuel clickfest Go To Bed is now available in an early access capacity from their web site. 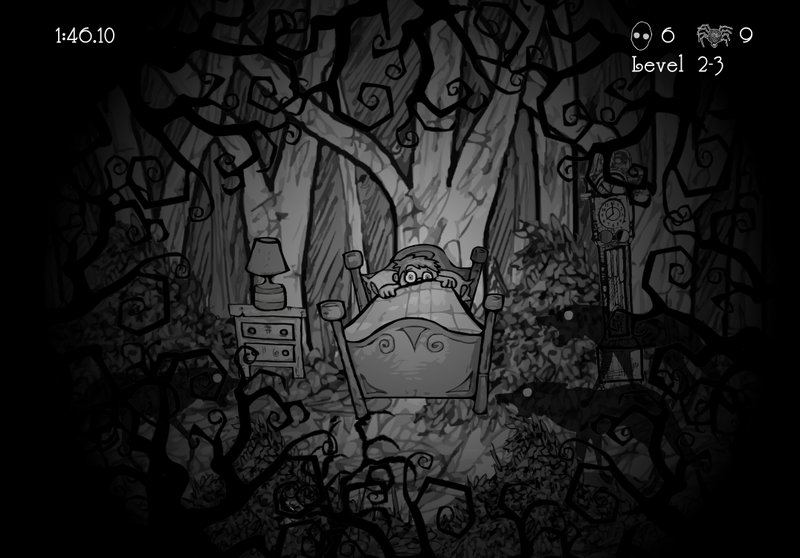 Go To Bed isn’t afraid to invoke imagery right out of your childhood nightmares. At first glance Go To Bed might not seem like such a horrifying game. With 2D hand-drawn artwork for pretty much everything and very simple gameplay based around a child’s fear of the dark and you protecting them from it, and what might lie within, just hearing about what the game involves does little to explain what makes the game feel scary. Instead, watch this video. For the love of Mike, if you have any memory of your own childhood spent huddled beneath the covers awaiting the skeletal grip of death at any moment, then the music and visuals will combine to send chills right down your spine. The goal of the game is simple: click the monsters to make them go away, and help your charge survive one more night in one piece. Simple and easy are far from the same thing, however, and as the night wears on more and more shadow creatures will begin to swarm you, the protective halo of light that allows you to monitor their movements will dim, and daylight will never be able to come soon enough as you desperately fight back the dark. Go To Bed is available on the creator Touchfight Games’ web site (linked above.) The game is currently $4.99, and for that price you get access to the current early access version of the game on Windows PC as well as all future builds as they come out. An iOS version is also planned at some point in the future, and if you’re more interested in a clean game collection all in one place the game is currently seeking Greenlight support as well.